The image crate is a library under development (well, not unlike the rest of the Rust ecosystem before 1.0) to read, manipulate and write images. It is part of the effort to develop an open source game engine in pure Rust - Piston, but of course the image crate can be used on its own. At the moment image supports reading and writing JPG and PNG images, while a few other formats are read-only (GIF, TIFF, WEBP). Let's start from something simple - read a JPEG image, flip it horizontally and save as PNG. and a few others. All these return a new image, except invert(). The image API lets us run arbitrary 3x3 convolution filters. 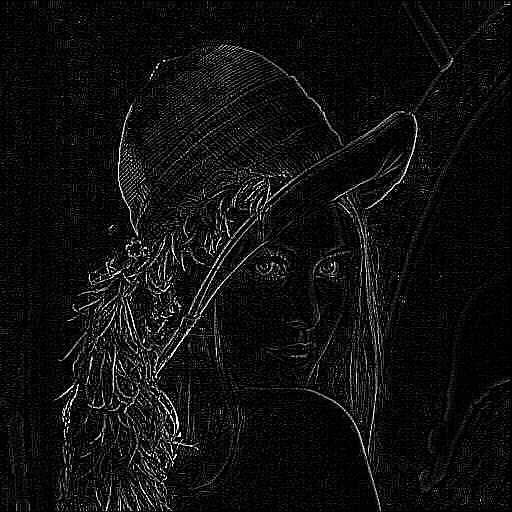 We can use it to create a very basic edge detection filter. A typical example of looping over image pixels is to add some noise to the image. The noise does not depend on surrounding pixels, so the inner loop is very simple - generate a Gaussian noise sample and add it to the current pixel. We need to use the GenericImage and Pixel traits to introduce some extra methods we're going to use later. Each run of the inner loop generates a sample from the normal distribution. We then pick one pixel from the original image with get_pixel(), add the offset to every channel (that's what the map() method does for types implementing Pixel trait) and store the pixel in the new image. To create a thumbnail from the image, use it's resize() method. It takes three arguments: width and height of the thumbnail (but the original aspect ratio will be preserved, so one of these dimensions might be ignored) and a variant of the FilterType enum. This value dictates what interpolation to use when resizing. See for example the GIMP documentation to learn more about various methods. I personally like Lanczos interpolation, unless the result looks really bad. One more thing - if your code using the image crate seems to be pretty slow, double check that you run in release mode (with compiler optimizations). For Cargo, that means cargo run --release. In my case the change from the default (no optimization) to release mode resulted in an 8-10x increase in speed. Code examples in this article were built with rustc 0.13.0-nightly and image 0.2.0.